Rainer "Rai" Weiss is an American physicist, known for his contributions in gravitational physics and astrophysics. He is a professor of physics emeritus at MIT and an adjunct professor at LSU. He is best known for inventing the laser interferometric technique which is the basic operation of LIGO. He was Chair of the COBE Science Working Group. Logan City, commonly referred to Logan, is a city in Cache County, Utah, United States. The 2010 census recorded the population was 48,174, with an estimated population of 48,997 in 2014. By 2050 the population of Logan is expected to double. Logan is the county seat of Cache County and the principal city of the Logan metropolitan area, which includes Cache County and Franklin County, Idaho. The Logan metropolitan area contained 125,442 people as of the 2010 census. and was declared by Morgan Quitno in 2005 and 2007 to be the safest in the United States in those years. Logan also is the location of the main campus of Utah State University. The Regeneron Science Talent Search, known for its first 57 years as the Westinghouse Science Talent Search, and then as the Intel Science Talent Search from 1998 through 2016, is a research-based science competition in the United States for high school seniors. It has been referred to as "the nation's oldest and most prestigious" science competition. In his speech at the dinner honoring the 1991 Winners, President George H. W. Bush called the competition the "Super Bowl of science." Logan High School is a four-year public high school in the western United States, located in Logan, Utah. Established 101 years ago in 1917 as part of the Logan City School District, its campus is in the southwest part of the city. Logan High is currently in the Utah High School Activities Association (UHSAA) Class 4A Region XII and its mascot is a Grizzly. Thorne's research has principally focused on relativistic astrophysics and gravitation physics, with emphasis on relativistic stars, black holes and especially gravitational waves. He is perhaps best known to the public for his controversial theory that wormholes can conceivably be used for time travel. However, Thorne's scientific contributions, which center on the general nature of space, time, and gravity, span the full range of topics in general relativity. With Anna Żytkow, Thorne predicted the existence of red supergiant stars with neutron-star cores (Thorne–Żytkow objects). He laid the foundations for the theory of pulsations of relativistic stars and the gravitational radiation they emit. With James Hartle, Thorne derived from general relativity the laws of motion and precession of black holes and other relativistic bodies, including the influence of the coupling of their multipole moments to the spacetime curvature of nearby objects,  as well as writing down the Hartle-Thorne metric, an approximate solution which describes the exterior of a slowly and rigidly rotating, stationary and axially symmetric body. Thorne and his friend, producer Lynda Obst, also developed the concept for the Christopher Nolan film Interstellar . He also wrote a tie-in book, The Science of Interstellar . Friedman, J., Morris, M. S., Novikov, I. D., Echeverria, F., Klinkhammer, G., Thorne, K. S. and Yurtsever, U., Physical Review D., 1990, (in press), Cauchy Problem in Spacetimes with Closed Timelike Curves . A wormhole is a speculative structure linking disparate points in spacetime, and is based on a special solution of the Einstein field equations solved using a Jacobian matrix and determinant. A wormhole can be visualized as a tunnel with two ends, each at separate points in spacetime. More precisely it is a transcendental bijection of the spacetime continuum, an asymptotic projection of the Calabi–Yau manifold manifesting itself in Anti-de Sitter space. Joseph Gerard Polchinski Jr. was an American theoretical physicist and string theorist. 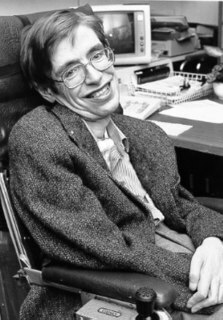 The chronology protection conjecture is a conjecture first proposed by Stephen Hawking which hypothesizes that the laws of physics are such as to prevent time travel on all but submicroscopic scales. The permissibility of time travel is represented mathematically by the existence of closed timelike curves in some exact solutions to General Relativity. The chronology protection conjecture should be distinguished from chronological censorship under which every closed timelike curve passes through an event horizon, which might prevent an observer from detecting the causal violation. Nathan Rosen was a Jewish American-Israeli physicist noted for his study on the structure of the hydrogen atom and his work with Albert Einstein and Boris Podolsky on entangled wave functions and the EPR paradox. The Einstein–Rosen bridge, later named the wormhole, was a theory of Nathan Rosen. James Burkett Hartle is an American physicist. He has been a professor of physics at the University of California, Santa Barbara since 1966, and he is currently a member of the external faculty of the Santa Fe Institute. Hartle is known for his work in general relativity, astrophysics, and interpretation of quantum mechanics. Clifford Martin Will is a Canadian born mathematical physicist who is well known for his contributions to the theory of general relativity. Ronald William Prest Drever was a Scottish experimental physicist. 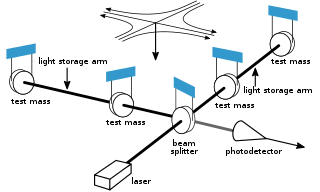 He was a professor emeritus at the California Institute of Technology, co-founded the LIGO project, and was a co-inventor of the Pound–Drever–Hall technique for laser stabilisation, as well as the Hughes–Drever experiment. This work was instrumental in the first detection of gravitational waves in September 2015. Michael S. "Mike" Morris, is a physics professor at Butler University. Eric Poisson is a Canadian award-winning physicist specializing in the study of black holes. Poisson is a professor at the University of Guelph as well as an affiliate member of the Perimeter Institute for Theoretical Physics, in Waterloo, Ontario, Canada. Alessandra Buonanno is a theoretical physicist working in gravitational-wave physics and cosmology. Since 2014 she is a director at the Max Planck Institute for Gravitational Physics in Potsdam, Germany, leading the "Astrophysical and Cosmological Relativity" division. She holds a College Park professorship at the University of Maryland, College Park in College Park, Maryland, and is a member of the LIGO Scientific Collaboration. ↑ Kevin P. Sullivan (December 16, 2013). "Christopher Nolan's 'Interstellar' Trailer: Watch Now". MTV . Retrieved October 30, 2014. ↑ Rincon, Paul; Amos, Jonathan (3 October 2017). 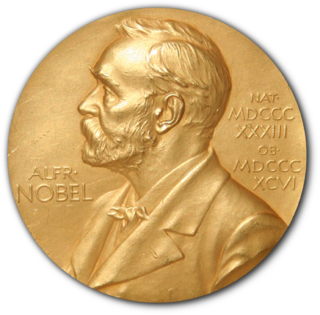 "Einstein's waves win Nobel Prize". BBC News . Retrieved 3 October 2017. ↑ Overbye, Dennis (3 October 2017). "2017 Nobel Prize in Physics Awarded to LIGO Black Hole Researchers". The New York Times . Retrieved 3 October 2017. ↑ Kaiser, David (3 October 2017). "Learning from Gravitational Waves". The New York Times . Retrieved 3 October 2017. ↑ Twilley, Nicola. 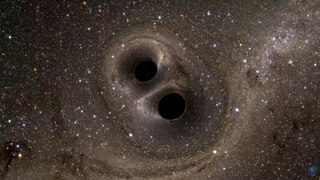 "Gravitational Waves Exist: The Inside Story of How Scientists Finally Found Them". The New Yorker. ISSN 0028-792X . Retrieved 2016-02-11. ↑ Abbott, B.P. ; et al. (2016). "Observation of Gravitational Waves from a Binary Black Hole Merger". Phys. Rev. Lett. 116: 061102. arXiv: 1602.03837 . Bibcode:2016PhRvL.116f1102A. doi:10.1103/PhysRevLett.116.061102. PMID 26918975. ↑ Castelvecchi, Davide; Witze, Alexandra (11 February 2016). "Einstein's gravitational waves found at last". Nature News. doi:10.1038/nature.2016.19361 . Retrieved 11 February 2016. ↑ Thorne, Kip S.; Żytkow, Anna N. (15 March 1977). "Stars with degenerate neutron cores. I - Structure of equilibrium models". The Astrophysical Journal . 212 (1): 832–858. Bibcode:1977ApJ...212..832T. doi:10.1086/155109. ↑ "2016 American Ingenuity Award Winners". Smithsonian. Retrieved 2018-10-15. ↑ Fernandez, Jay A. (March 28, 2007). "Writer with real stars in his eyes". Los Angeles Times . Retrieved September 1, 2014.